Holistic fixed inline and ball perc. White accent. Slim Mouthpiece. 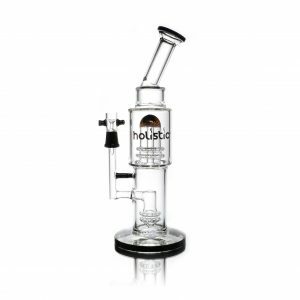 Recycler. 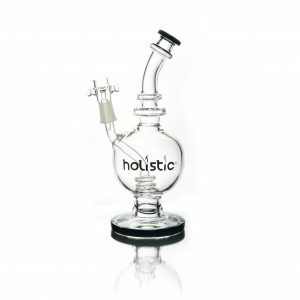 12.2″ Holistic Recycler with Inline Perc. 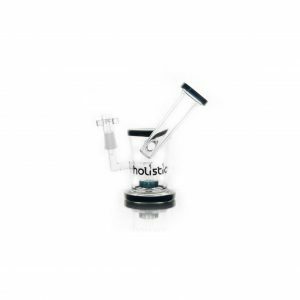 Bent mouthpiece. 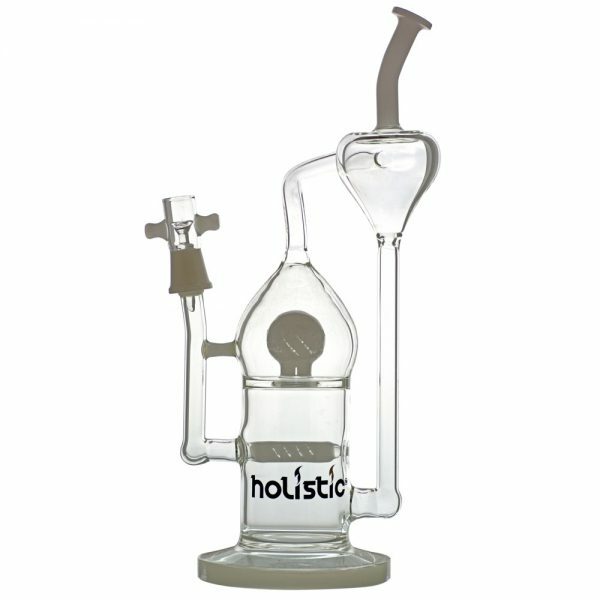 Recycler Arm. 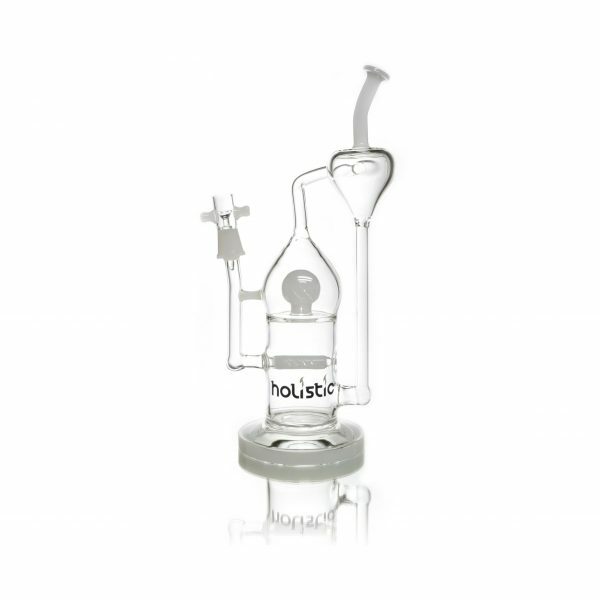 This is the perfect recycler. 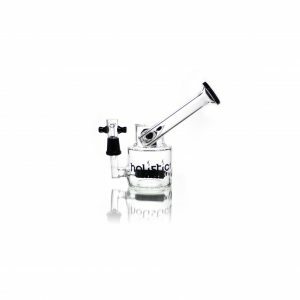 Tall enough (over a foot) to fit more smoke than you can think to inhale, with a recycling arm dropping from the mouthpiece back to the bottom of the lower perc chamber, you’ll be be inhaling smoke whiter than the Alpine Snow. 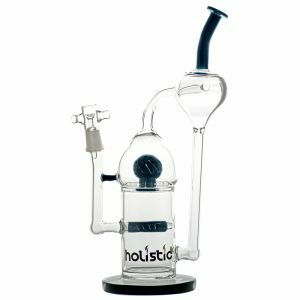 The hit will be strong, and the smoke thick, but it’ll be easy to draw because the Dual Perc System will keep the smoke cold.